Here we will look at how to get the best currency trading strategy for you in terms of matching it to your personality so you can follow it with confidence and discipline. It's critical that the trading method you use is one you are comfortable with in terms of – its risk parameters, its trading style and you understand exactly how and why it works so you can follow your trading signals with discipline. There is no one best way of trading currencies there are many different ways but the key is really to find a method that fits your personality and you have confidence in. Its easy to build your own trading strategy for profit but if you do not wish to do this, you can get ready made trading systems which you can follow and if you want to do this, check out the Best Currency Trading Systems which are automated and find a great free trading robot which has a proven track record of growth, going back 30 years. 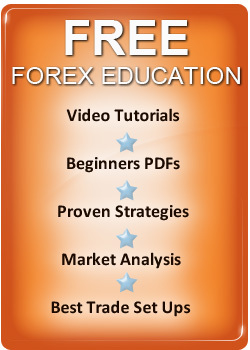 Now lets look at how to build your own method to trade currencies for profit. We will go through some trading methods that work but before we do this, its worth pointing out that most beginners pick strategies which will NEVER work and lose money so it's important you don't try any of the following – scalping or day trading strategies, FOREX robots and so called Expert Advisor’s, with perfect market timing and show big profits and just small dips in equity. There are many trading programs sold online which tell you that, you can get rich by following auto trading strategies but the trading signals always lose money. Trading currencies involves taking losses and having dips in equity which can last for weeks or longer but over the longer term, a trading system based on sound logic, will make you profits. So how do you choose the best FOREX trading strategies and pick one which matches your personality? Let's take a look and give you some advice on finding the right method. First you need to pick your time frame to trade currency pairs with and there are two time periods which are the best. Your trading method can be longer term, where you look to trade trends which last for weeks or months in duration i.e. trend following or can trade overbought/oversold levels and ranges which is shorter term, with trades only lasting a few days. We haven't suggested day trading or scalping because - the time frame is to short to make money in and you will lose doing it so your choice is really between swing trading trading channels or ranges) or contrary trading (trading trend reversals) and trend following (trading longer term trends) – all these strategies can work so which one should you choose to put in your trading plan? If you are patient and don't have much time to trade then trend following will suit you but if you like excitement lack patience or your a beginner, swing trading is a great place to start because it requires very little discipline and most beginners tend to lack discipline. Contrary trading methods suit traders who lack patience as well but be warned – you do need discipline to cut losses quickly but this is a great way to trade because if your market timing is right it offers the best risk to reward. You can then start to put your trading strategy together and be based on technical analysis and using charts. All you need to do is look at the chart formations and use a few trading indicators, to confirm your trading signals and you will have a system which can make money in currency trading. If you are trading currencies one methodology you should consider is breakout trading which is a strategy designed to enter trading signals on breaks of trading ranges in various time frames. It's easy to have confidence in it because - it's easy to understand, apply and can be done by just trading price action, with no trading indicators. You can also get a free price action breakout trading system on this site which is one of the best of all time by simply clicking the free info section on this site. Now let's look at putting a trading method together and making profits with it. Simple trading techniques work best in currency trading so keep your FOREX trading strategy simple and robust because, if you clutter it with to many inputs, it will end up failing to make money. The aim in FOREX trading is to make money and is not to prove you are clever! People think if they make lots of effort and build complex trading strategies they should be rewarded by the market but the market doesn't reward complexity, it punishes it and complex trading strategies always fail to make money. Currency trading is an odds market and in an odds based market, you need to keep your trading strategy very simple. While all trading methods are different, the best tend to share certain characteristics in common. Below, you will find the principles the best trading strategies are based upon. It will trade the reality of price change and not be predictive by nature. It will be Based on swing trading, trend following or on trend reversals. It will have strong money management. It will keep losses small. It will have the ability to hold and run profits to exceed losses. It will have easy to Understand Logic so You can have confidence in it. It will trade all markets and be able to make money in them with no change of rules or parameters. There are many different ways to trade currency pairs but all the best Currency Trading Techniques which make profits, will have strong money management and it's essential your trading method does too. You need to focus on your stop loss order placement as much as your trading signal entry level. A trade should be placed and the stop loss order should be placed at the same time as you enter the market – don't use mental stops! This is because, you will be tempted to over ride them and let losses run. You will lose at times and its the ability to keep losses small which will allow you, to stay in the game until you hit profits again. Don't make the mistake which many traders do which is to put their stop, just behind the first level of resistance. If you place your stop to close it will be taken out with the majority of losing traders and its impossible (despite what many so called experts or gurus tell you) to trade FOREX and make money with stops of 10 -30 pips. It looks like it reduces the risk but it doesn't, it increases it as your stop is simply to close to your entry signal so you will just end up losing. If you want to find currency trading strategies that can make you money and help you enjoy currency trading success, then the above check list should help you and always remember – keep it simple, trade the reality of price change, protect your equity and you can make a lot of money trading currencies. You can easily devise your own trading method for success and there are also many Free FX Trading Strategies you can use or adapt but which ever method you choose, you must always keep in mind, that to make money with your strategy, relies on your self control and discipline which will help you turn its potential into profit.